Hydro-Jet Engineering has invested in heavy plant and equipment necessary to undertake this type of work, this includes specialist hydraulic breakers and Cutting equipment as well as the more conventional excavators and tipper trucks. The powerful combination of experienced trained operatives and specialist plant and equipment enable us to provide the solution to all our clients' needs, from emergency repairs at short notice to complete replacement of underground water supplies or drainage systems. Hydro jet staff and operatives are trained and certified to carry out the work, which ensures we maintain all relevant safety standards at all times. 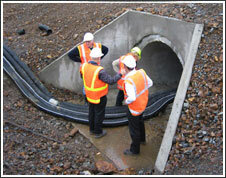 We have, over 37 years experience and have worked on all types of sewers throughout the Republic and Northern Ireland. 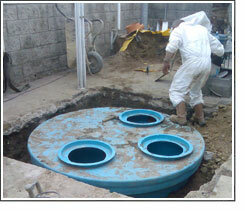 We can provide supervisors and operatives specifically trained to work on Excavation and repairs to underground water and sewer pipe.